I've said it before and I'll say it again: The proposed National Football League concussion lawsuit settlement is a bad deal. Not for the league, of course. And not for the lawyers. (Pro tip: They always get paid). But for everyone else. Earlier this week, attorneys for the NFL and the more than 4,500 former players suing the league over allegations that it covered up the risks of concussions and getting hit in the head while playing football filed details of the $765 million settlement in federal court -- and after reading through the documents, I'm more convinced than ever that the plaintiffs deserve a better agreement. 1. The money remains inadequate. The proposed settlement will pay up to $675 million over a 65-year period to compensate former NFL players who have suffered brain damage, as well as the families of deceased players. Very likely, that won't be enough money to cover the health care costs of the afflicted -- not on an individual, case-by-case basis, and not for the estimated 18,000 living retired players as a whole. In The New York Times, Ken Belson and Alan Schwarz offer a succinct breakdown of how the compensation system will work: Essentially, the younger the former player -- and the more years he played in the NFL -- the more money he will be eligible to receive, depending on the severity of his brain damage. Former players diagnosed with amyotrophic lateral sclerosis (ALS) could receive as much as $5 million. Death via chronic traumatic encephalopathy (CTE) is worth up to $4 million. Alzheimer's and Parkinson's disease patients could receive up to $3.5 million. Individuals diagnosed with dementia are eligible for awards of $1.5 million to $3 million, depending on the severity of their condition. A player younger than 45 with Alzheimer's disease who played more than five years in the league, for example, would be eligible for $3.5 million. A retiree age 50 to 54 with the disease who played five or more years in the league could receive up to $1.6 million. Now consider the real-life price tag for the treatment and support of individuals with debilitating brain damage. Forbes reports that the average cost for a single year of nursing home care is about $80,000 -- and that for specialized care, costs are typically higher. Frank Neuhauser, the executive director of the Center for the Study of Social Insurance at the University of California, Berkeley, told the Los Angeles Times last year that dementia and Alzheimer's patients can cost "millions of dollars and can involve 10, 20, 30 years of medical care and income support." University of Toronto neurosurgeon Charles Tator told Medscape Medical News that the total costs related to repetitive traumatic brain injury -- including lost productivity and medical and custodial care -- are in the ballpark of $10 million per case. Suppose you're a 54-year-old with Alzheimer's who only played four years in the NFL. You need 10-plus years of medical care. Forget paying your mortgage, sending your children to college, making up for lost income -- is the $1.6 million maximum listed above even going to cover your doctor's bills? When the time comes -- and it will -- will your family be able to afford to put you in a nursing home? … [all of this is] without adding a single new or undiagnosed case of degenerative brain disease. Football players are a proud, stubborn bunch. They are conditioned from a young age to endure, overcome and show neither pain nor weakness. How many NFL retirees are hiding problems? Does anyone think we've seen the final case of Alzheimer's or ALS among the entire cohort? The last suicide victim posthumously diagnosed with CTE? Does anyone think that some of today's retirees managing relatively mild cognitive problems won't become tomorrow's hard cases? Does anyone think the problem has already peaked, even though: (a) former players in their 20s, 30s and 40s generally have played more football than their predecessors; (b) bigger, faster, stronger athletes are generating greater impact force in a game where the helmet has evolved into a weapon; (c) an entire generation of NFL players was routinely shot up with Toradol, a pain-deadening, prescription-only anticoagulant that could make concussions more damaging and is considered dangerous enough that some European countries have banned it outright? Also worth noting: the settlement calls for the NFL to pay $112 million to a group of lawyers who have been leading the work on the concussion cases consolidated in federal court. A lawyer himself, ESPN's Munson writes that while he is "reluctant to criticize another attorney's attempt to collect a fee … $122 million for filing a series of lawsuits and spending 12 days in mediation to settle them is a bit much." I agree. Moreover, most players who joined the lawsuit still will have to pay their personal attorneys' fees from whatever settlement money they receive. The upshot? More cash for attorneys means less cash for brain damaged players, who already are looking at a too-small pot. 2. Too many players won't get any help. All of that said, the settlement ought to at least provide tangible, needed help to former players like Kevin Turner, the 44-year-old former NFL fullback already suffering from ALS. And that's good. Good for the league, too. By providing support to retirees with the worst and most obvious health issues, the league largely can immunize itself from both a legal and public relations nightmare: endless media stories about former football heroes now broke, withered and living in nursing homes, as well as the chance that one of those former heroes ends up in front of a sympathetic hometown jury. Meanwhile, the settlement offers nothing -- repeat: nothing -- for the vast majority of former football players whose brain damage doesn't rise to the level of dementia or CTE, but still impacts their life on a daily basis. These are the men with memory problems, chronic headaches, impulse control deficits, explosive anger, nerve pain and the like. Men who were hit in the head repeatedly, and are struggling, and who also need care and support. Shortly after news of the settlement broke last fall, I received a call out of the blue from a former NFL linebacker, a man I had met once at an Independent Football Veterans' conference in Las Vegas, which was full of guys who were just functional enough. He told me he was suffering from tremors, having trouble with his memory, couldn't swallow water sometimes. He was still working, but his job was becoming harder. He was scared that he might have early-stage Parkinson's, and because he didn't have health insurance, he was saving his money for an MRI exam. The former linebacker then asked me if the settlement would cover him. I said I didn't know -- that in all likelihood, he'd probably have to be diagnosed with something like Parkinson's to get help. Turns out I was right -- but to me, at least, that seems terribly wrong. Wrong from a moral standpoint. But also wrong from a bottom-line standpoint. Who will pick up the tab for the health care costs of former players insufficiently and/or not covered by the settlement? The rest of us, via Medicare, Medicaid and higher private health care insurance premiums. And to think: We're already paying for the NFL's stadiums. (Another related thought: Current and future NFL players will not be eligible for settlement payouts. Even if they end up with something like CTE. If you're a league veteran and concerned that you might be likely to develop a neurodegenerative disease -- if you're hiding symptoms right now, like Mike Webster seemed to be near the end of his career -- it might be time to retire. Before it's too late). 3. The former players are being pitted against each other. Everyone knows the NFL is getting off cheaply. How cheaply? The $765 million settlement is roughly equivalent to the cost of 96 minutes of Super Bowl commercial airtime. In other words, the league can afford to foot the bill. Pretty easily, actually, given that its annual revenues exceed $9 billion. Which in turn means that the plaintiffs could -- and should -- push for more, something in the range of the $2 billion they reportedly asked for during mediation. Instead, both the league and the plaintiffs' lawyers have argued for months that settling as soon as possible is the best course of action, because former players such as Turner will get help sooner rather than later. It's not a wholly unfounded point. But it also puts players like my anonymous former linebacker in a tough moral and political spot -- if they opt out or challenge the settlement, they'll be painted as greedy money-grabbers who screwed up a deal for their neediest brothers. In a way, this dynamic mirrors the way in which active and retired NFL players fight each other over the union's cut of collective bargaining agreement money -- the retired players want better health benefits and pensions; the active players want to make as much as they can during their short football careers -- instead of uniting to demand a bigger overall piece of the football revenue pie from league owners. Given what a mess that setup historically has been, it's a lousy idea to incentivize the concussion settlement in similar divide-and-conquer fashion. 4. College and youth football somehow snuck into the deal. Settlement Class Members who receive Monetary Awards will agree, as a condition precedent to receiving Monetary Awards, to dismiss pending, and/or forebear from bringing, litigation relating to cognitive injuries against the National Collegiate Athletic Association and/or other collegiate, amateur or youth football organizations and entities. Um, what? The NCAA already is facing deserved lawsuits for its shameful concussion and brain injury non-policies. Why is the NFL providing legal cover for its de facto minor league -- and more importantly, why did the plaintiffs' lawyers agree to this? 5. The settlement could kill someone. There's no tactful way to say this, so I'll be blunt: The payout structure of the settlement could be an invitation to suicide. How so? Well, suppose you're a former player with cognitive problems. Bad ones. You suspect you have CTE. Maybe you're having suicidal thoughts already. Read the settlement. Check the fine print. Study the payout grid. Turns out the best way to get the biggest possible finacial reward for your family is to die young. Potentially by killing yourself. After all, the settlement compensates families of deceased players, including suicide victims, if they are diagnosed with CTE -- and currently, the disease only can be diagnosed via autopsy. Does the league get this? Do the plaintiffs' lawyers get this? I hope so. But I'm not so sure. 6. The settlement remains hush money. What did the NFL's leaders know, and when did they know it? Even after "League of Denial," we still don't have the full story when it comes to the league and workplace brain damage -- and thanks to the settlement, which allows the NFL to admit no fault and undergo no discovery process, we may never get it. … if the NFL is hiding relevant concussion information, then pee wee, high school and college players may be taking unnecessary risks. Conversely, the league's high-profile, self-congratulatory efforts to foster and promote youth safety make full disclosure a must. 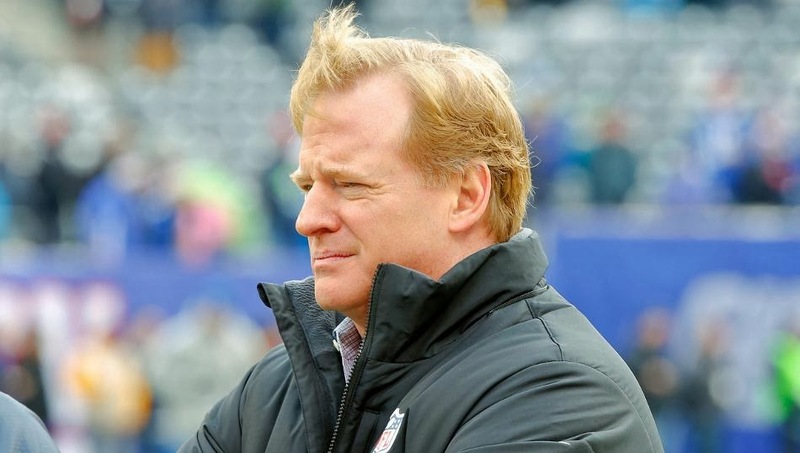 Earlier this year, [NFL commissioner Roger] Goodell appeared on "Face the Nation" and refused to explicitly acknowledge a link between football, concussions and long-term cognitive damage. Can he really be trusted with the brains of young football players? There's only one way to find out. What did the NFL know, and when did it know it? New York Attorney General Eric Schneiderman recently issued a consumer alert attacking marketing boasts about "concussion-proof" or "anti-concussive" football helmets. Perhaps he'd like to examine league-funded USA Football and its "Heads Up" tackling technique program, which has led executive director Scott Hallenbeck to boast "there is no question that the game can be played safely and is safe, as long as it is taught properly and the players execute it properly." In May, 17-year-old Louisiana high school football player Jaleel Gipson was taken off life support after fracturing a vertebrae during a tackle in practice. Gipson's school principal said the boy was "head up in the exact position he needs to be. The tackler lead [sic] with his shoulder, as textbook, as taught." On second thought, never mind former players. If the settlement allows the league's clock-killing, cost-shifting approach to football-induced brain damage to continue, is it a good deal for the rest of us?